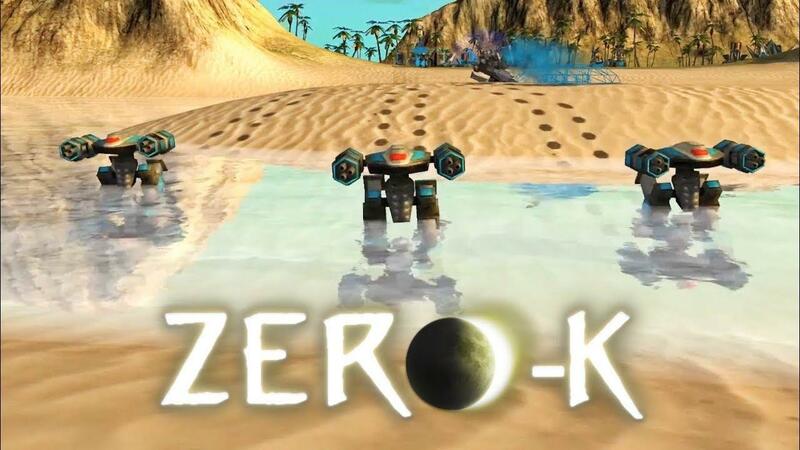 Free and open source RTS 'Zero-K' is going to release on Steam on April 27th, along with a single-player campaign and multiplayer. It's actually built on the Spring RTS Engine, something that's been in development for years. As a huge fan of traditional RTS games, this has me quite excited to see it "finished". Should be good fun to play some games with the community, possibly something we will livestream. Hopefully plenty of you are interested to join me on that! Sadly, it seems they removed the direct downloads from their site, at least I couldn't find the downloads any more so everyone will need to use Steam now. There's also itch.io, but I'm not sure how up to date those builds are. Thanks for the tip, Toric! And Free too... WOW, I'm impressed. The graphics have a old schol charm and the 3d models remind me of G-NOME by 7th Level. I have the feeling this is going to be amazing. It might even have some of the "it's so bad it's so good" like a good B-Movie where you enjoy it but lol a little. I am hopeful that the balance has some really OP choices and that everything isn't muttled down to the point that 1000 $1 units are better than $2000 of combo units. I actually would be happy if there was a limit on the # of units -- say 30 or 40 just like chess or rock paper scissors. ElectricPrism I actually would be happy if there was a limit on the # of units -- say 30 or 40 just like chess or rock paper scissors. What THE HELL are your rock paper scissors rules? Yup will be added to my library as soon as its out a single player campaign too yeah def down I hate the fact there are no rts games like this around anymore. Haha. It's a RTS insight that some StarCraft and Risk players reference. The idea in risk is that there are 3 kinds of units -- marine, zergling and tank or in the board game, soldier, horse and cannon -- referenced as rock, paper scissors. The principle idea behind my statement is that if you change games like Chess or Rock Paper Scissors to add new units it changes the gameplay for the worse. Imagine they remade Super Mario Brothers NES and decided to change the core mechanics by making mario jump twice as high and eat blocks and enemies instead of climb over them -- the mechanics are critical. So in the same way, the graphics, and creative units are important, but having what "100+ varied units with abilities including terrain manipulation" could actually make the game so complex that it's not fun and unintendetly alienates a large potential audience. Having a clear vision for the core mechanics a game or kind of game is critical. Having event timing and clearly identifiable units with clear advantages and disadvantages against other units is important. And I do realize that it is a RTS but not going to town adding complexity where it doesn't need to be will KISS like chess instead of it being a pizza with 2ft of toppings. Looks almost like someone took the Ravenfield archipelago map and decided to make an RTS out of it, which is actually very cool... Looking forward to it, especially with a non-cheating AI. I play it from time to time since several years. Steam may give them more viewers... and troubles, too. Hope it will become bigger, better, badder, then ! And this is why I am a Fire Emblem diehard fan.